Are you ready to work? 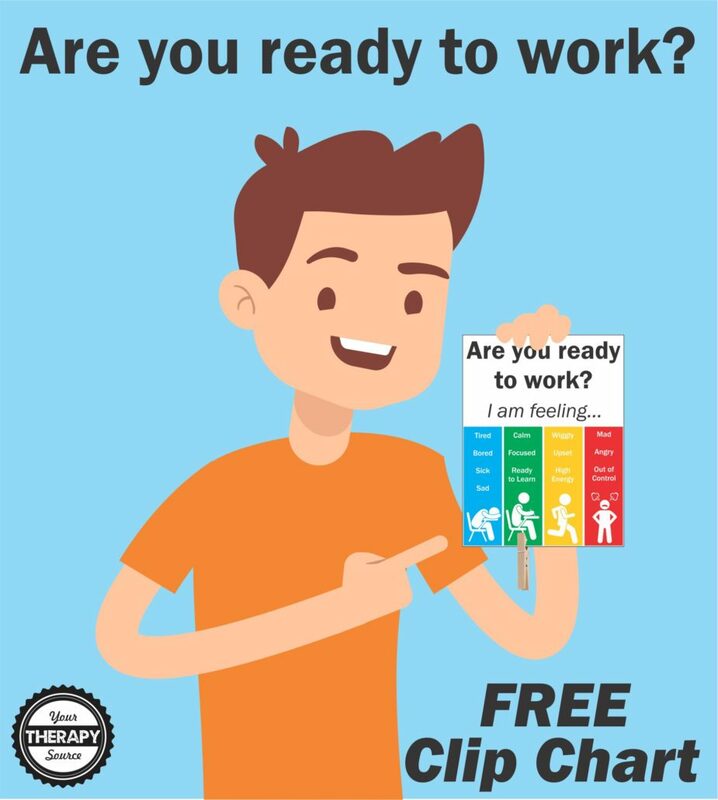 Are You Ready To Work Clip Chart helps students to identify their state of regulation and ability to learn using visual supports. Each color category represents different emotions or levels of alertness. The students can decide how they are feeling and clip the clothes pin to the correct color. The chart provides students with a visual representation for self regulation. 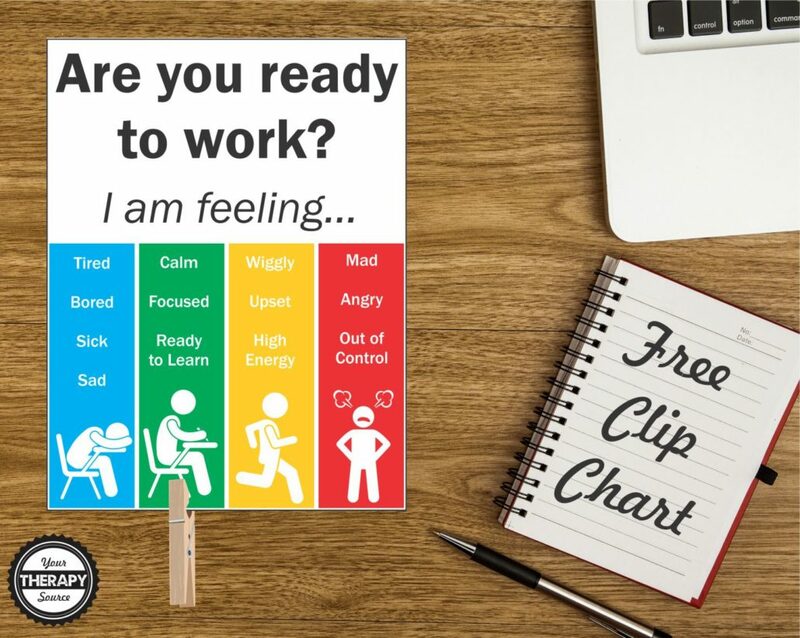 You can download your free clip chart when you subscribe below. You will be directed to the download page after you enter your email. Check out the Self Regulation Curriculum for an effective, time-efficient structured system to provide classroom breaks, improve self-awareness and self advocacy and teach specific self-regulation skills so that kids have tools to use in their classrooms. This system will get kids moving, give them the benefits of a brain power boost [from getting their heart rate up], give them heavy work and isometrics to help them calm down, and help them learn techniques to quiet and control their bodies in order to return to their academic work. Find out more information.